Each year more and more international students are applying to Vytautas Magnus University to get an undergraduate or a postgraduate degree in various study programs that this university provides in English. 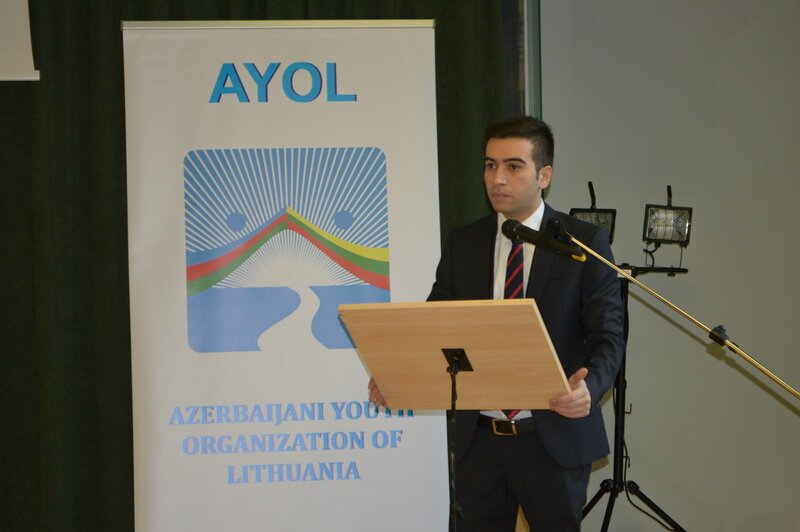 Just recently two international students from Azerbaijan Samil Niftaliyev and Amil Sadigov successfully defended their theses and were awarded master’s diplomas in the field of Diplomacy and International Relations. They gladly agreed to share their experiences and thoughts about studying in Lithuania and VMU. How did you hear about Vytautas Magnus University and this study program? SAMIL: I was looking for universities abroad which would fit me by my IELTS score. It is funny to say, but I actually found this university through Google. After that, I talked with my friends about this university and fortunately I found my groupmate from bachelor degree, who studied here. She successfully graduated and defended her thesis. She also told me that it is a nice place to study in Europe. So I applied, got accepted and came here. AMIL: About me…One of my friends also informed me that there is a university in Lithuania which provides affordable tuition fee for our expenses. He also said that education here is more developed and that it is one of the best and most innovative universities in Eastern Europe. Later I Googled it on the Internet and looked for suitable courses which would allow me to continue my field of studies at master’s level. Finally, I applied to this university with two of my friends and fortunately we all got accepted and I’m very happy about that. AMIL: Of course in the beginning it was a bit challenging, it is much colder here than in our country. However, here in Lithuania I met some people who now are my best friends. What is more, the sense of European values was one of the best things here for me. We also had an opportunity to go for exchange as Erasmus students in Italy, which is one of the main advantages of the university. SAMIL: In my case, it was the first time I went abroad as a student. Before I had visited several countries, which were close to Azerbaijan, but they were not the same as Lithuania. Luckily, with the help of my mentor Lina, who helped me to adapt and not to feel strange, it didn’t take me a long time to feel comfortable. Of course the weather was a big challenge, in Azerbaijan if we have zero degrees Celsius, we consider that it is already cold, but here we had to live under minus 20! However we managed to adapt to it and in the end it was not that bad. Actually one of the biggest challenges for me was the language, because if I see someone who does not speak Russian or English it was hard to communicate, but as Kaunas is a student city, with a lot of young people living here, I did not have to face this problem too often. How did your studies at VMU differ from your bachelor studies? SAMIL: First of all, the relationship between students and professors here is completely different than in Azerbaijan. Because of the big problem of corruption in Azerbaijan’s education system, professors do not work under a strict plan and sometimes they make it hard for students to pass the exam successfully. Here it is different, I did not feel that my professors would want me to fail an exam, they are working under a well-structured plan and try to share the knowledge of their field of study with their students as much as they can. AMIL: For me the major difference was the well-organized credit system according to which the studies at VMU are held. It was new for me, because in Azerbaijan we are studying in a different system. Secondly, while studying here I learned a lot about methodology, to which I was not introduced that much before. It helped me to improve my research skills, which I used while writing my master’s thesis. The skills and the knowledge I gained at the faculty of Political Science and Diplomacy helped me to successfully finish my internship at the Delegation of the European Union to Azerbaijan, where I was able do to some research using the abilities I gained while studying at VMU. Finally, I really appreciated the help and the effort that my supervisor Dr. Giedrius Česnakas made while helping me in the process of writing my final thesis. 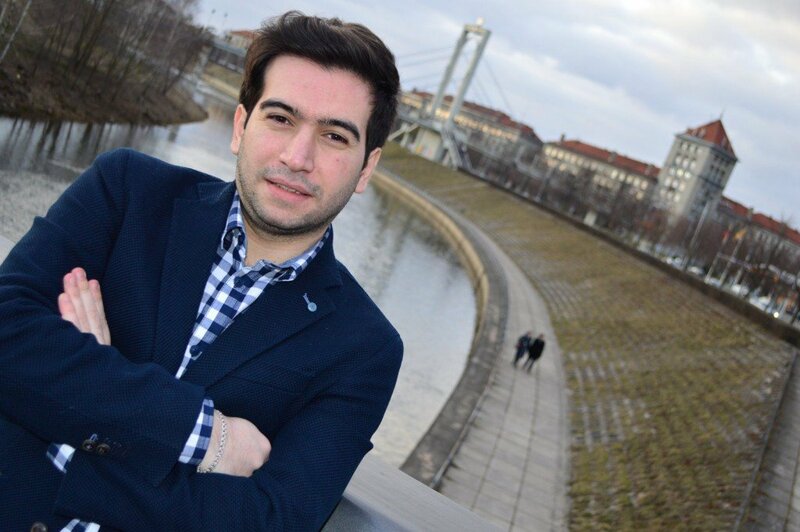 SAMIL: Also one thing I would like to add is that while I was studying in Baku in my university the majority of foreign students were Turkish, whom we do not really consider as foreign. Here we had a chance to meet with people from Germany, England, the USA, Spain, Italy, France and lots of other countries all around the world. The environment at VMU is really multicultural and you have a chance to learn about different countries and cultures just by interacting with foreign students. This would be also one of the major differences. I wanted to congratulate you on successfully defending your master’s theses and receiving your diplomas. What are your plans for the future? SAMIL: For now I would prefer to stay and find a job related to diplomacy and international relations in Europe. I think that it would be perfect for me to find a job in a company working in this field and to continue improving myself as a specialist. AMIL: Same is for me, together with Samil we are already looking for various job opportunities in Europe. But first of all I will have to finish my military service! What would you say to people who are still wondering whether it is worth it to study at VMU’s faculty of Political Sciences and Diplomacy? SAMIL: First of all, regarding the budget, this university provides an affordable tuition fee for students and the cost of living in Lithuania is not really high itself. That provides students from less wealthy countries to access high quality education. Secondly, by choosing this university you will have an opportunity to go on exchange to a different country to study abroad and widen your experiences. Finally, from a non-educational point of view, even though it is a little bit cold during winter, you can still enjoy it and have fun during this time of year. What is more, you will start new friendships with the people you will meet here including Lithuanians and other exchange students. AMIL: I would agree with all the aspects that Samil mentioned before about studying at this university. I think that it is a perfect place for students to get their higher education diploma and later you will have bigger opportunities to visit other EU countries or even continue your career here. 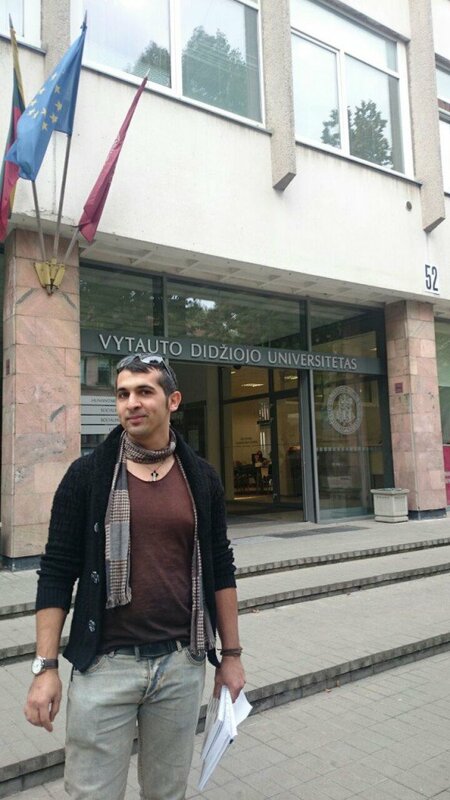 I would definitely recommend studies at Vytautas Magnus University. SAMIL: My last advice for future students of this university is to take Lithuanian language courses, which would open even more opportunities for you in the future. Why do foreign students choose studies in VMU?